I have a problem. I discovered six large bags in my craft room closet, each containing a diamond in the rough, otherwise know as an unfinished object. And those were just the large bags. I don’t even want to count the small bags filled with unfinished hats, mittens, socks, and more. When I found this stash of projects, I was taken aback. I had completely forgotten about them! Seriously, what is wrong with me? There was hundreds of dollars there, not to mention a bunch of needles and notions that I’ve repurchased thinking I’d lost them. And I guess I did sort of lose them; out of sight was truly out of mind. I had a stern talk with myself, and decided to unearth these projects and either finish them or ravel them. Only one made the cut (I told you it was a stern talk! ): the Kayleen Pullover. I started this project way back in 2014, as part of a Knitting Daily Knit-Along. I know. 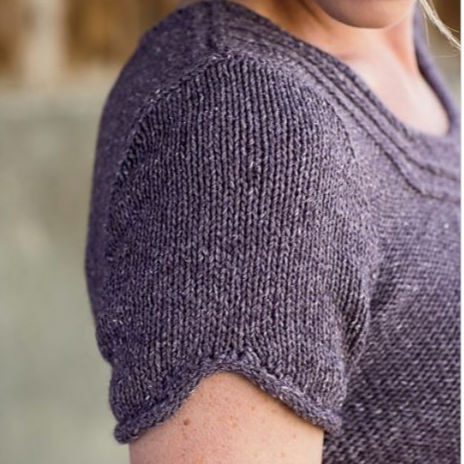 Five years later, it’s still just as cute and fresh, which is probably why it’s featured in 100 Knits: Interweave’s Ultimate Pattern Collection. The best of the best, 100 Knits is a treasure trove of favorite knitting patterns—the ones that had you clicking “like” over and over again. Kayleen fits right in, with its simple yet impactful cable motif at the neckline, notched sleeves, and knitted hem. 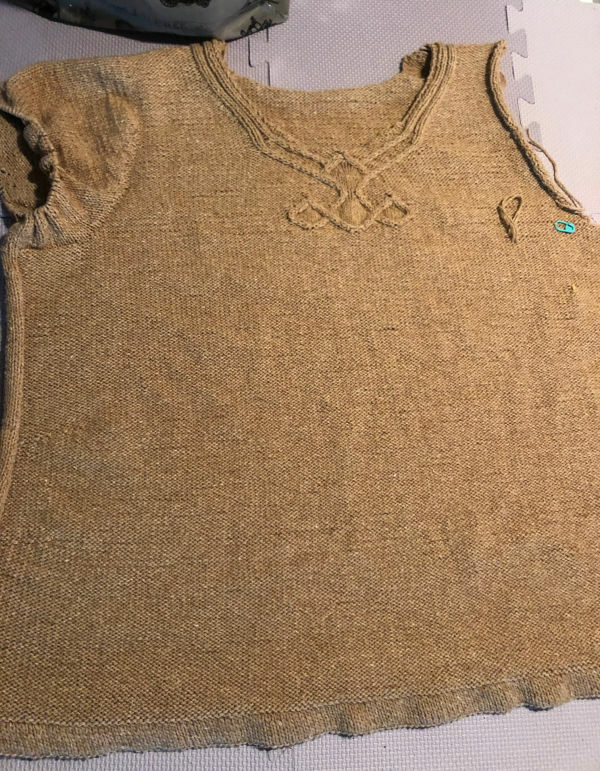 I am almost done with this sweater; the body is complete, and one sleeve is in progress. Kayleen, released from the closet of doom. As I’m getting back into it, I realize why it was banished to the closet of doom. I upsized this pattern to fit my old body, and I had a hard time adjusting the sleeve. I thought I had solved that issue by picking up stitches at the armhole and knitting the sleeve top-down in the round. 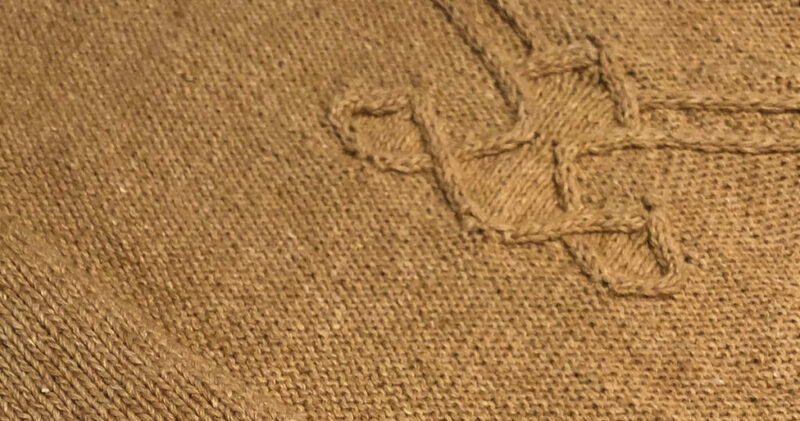 It was designed to be knit flat, and now I see why—the notch, which is one of the cutest parts of the sweater, is much easier to accomplish from the bottom up. I still think I can achieve the notch, but I’ll have to work each side of it separately and then do an i-cord bind-off. Here’s hoping. I’ve found joy in picking up this project again, especially since it will need to be a gift because it’s way too big for me now. Knitting for others is part of the joy of creating, and I’m sure one of my wonderful friends will love Kayleen as much as I do. I do want to knit some new warm-weather wear for myself. I’m working on two colorwork projects now, so the goal is to cast on something quick and easy that will be done for summertime. Paging through 100 Knits, the Driftwood Tee jumped out at me. Mercedes Tarasovich-Clark’s design is simple and summery, with a cool geometric lace panel on just one side. It’s exactly what I’m looking for; excuse me while I go add it to my queue. I think I have yarn for it, too. Bonus! The Driftwook Tee is the perfect little summer top! Every time I think I’ve seen all of the patterns Interweave has offered, I’m wrong. 100 Knits is proof of that! I thought I was the only one who had bags on unfinished projects! So glad to hear I’m not alone. I appreciate your sharing that only one made the cut. Since I have a bit of time this afternoon, I think I’ll go through them with an air of harshness and do what you did…only save the very best one (or two)! Oh I could have written this! I purged my stashes twice in the last 20 years! I get so excited at a new project, that I start it just peek and we’ll you know what that means! But, I still enjoy myself and at 72 who knows if I’ll finish them all but fun along the way. I do celebrate when I finish anything by more patterns and yarn, of course!